At least once in your vSphere environment you will face an unfamiliar error. 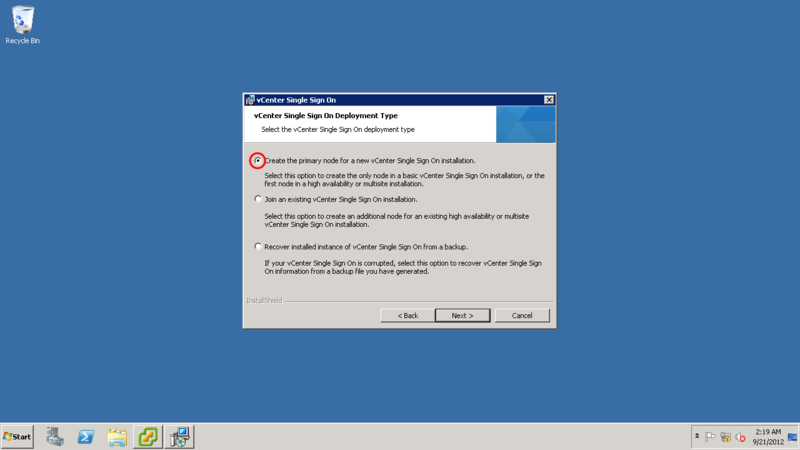 It’s a vague error message which popup when you try to power on a virtual machine. Not really sure what causes this error all of a sudden, need to investigate more. To fix this issue lets check the state of Host. 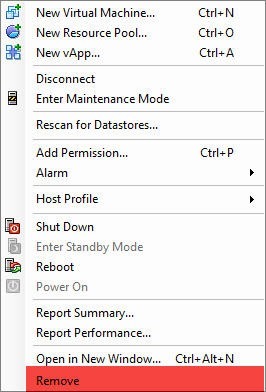 Host is running, but if you notice the summary page and look at the “Resources” section you will find the data for CPU / Memory Usage is not being pulled. 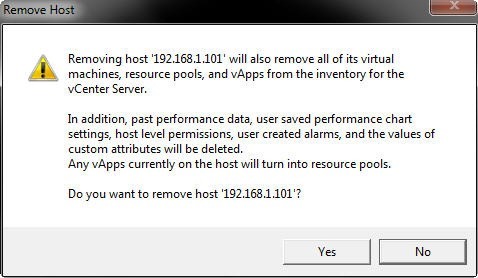 When I faced this error 1st, I did a restart of Host which solved the problem, but in some cases you can’t take this step unless you have planned to vMotion the VM’s to another host. 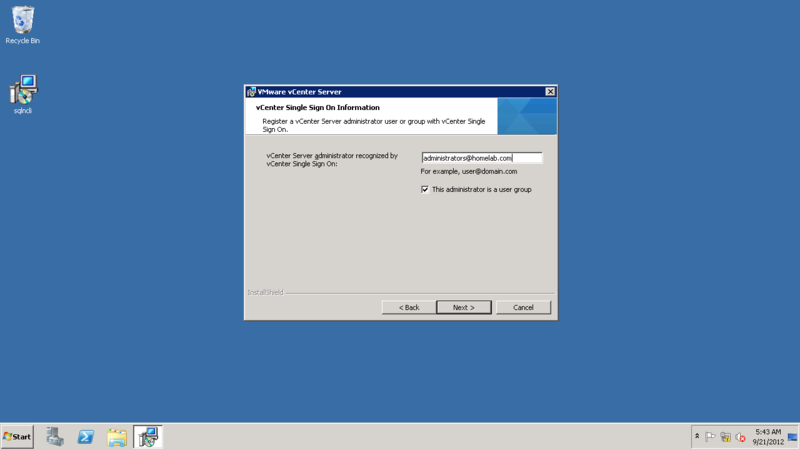 Another way is to “Remove” the host from vCenter and “Add” back again. This action will give a security alert, Click “Yes” to move ahead. 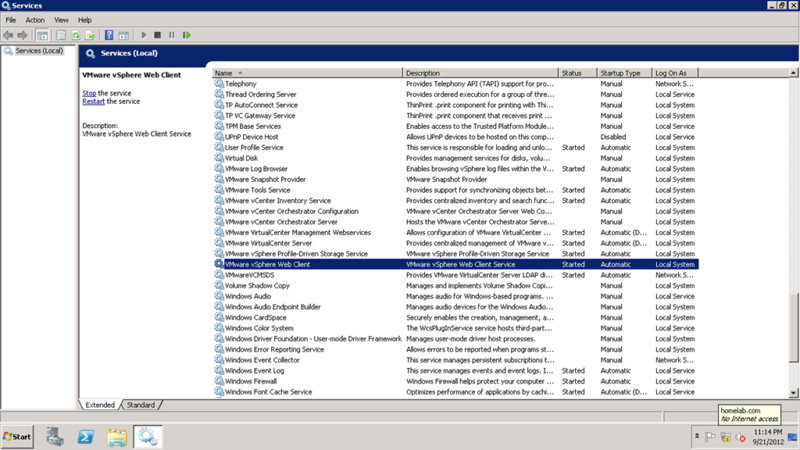 You can monitor the “Recent Tasks” for the status of your action. Lets “Add” the Host again. Go through the wizard process. 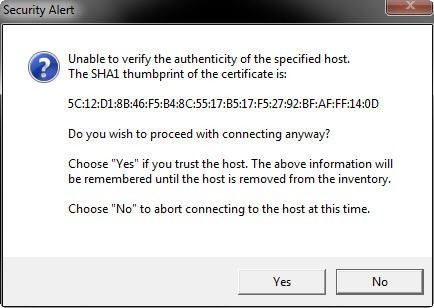 You will be prompted again with the Security Alert, Select “Yes” to move ahead. 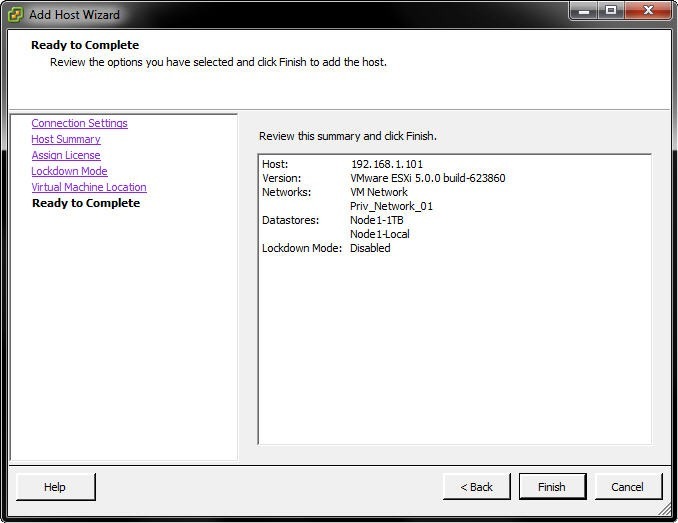 Upon completion of wizard you can go through the summary once again. Once the Task is complete, check the “Summary” page of the Host and check the “Resources” section. Now try Powering On the virtual machine, and it should power on. 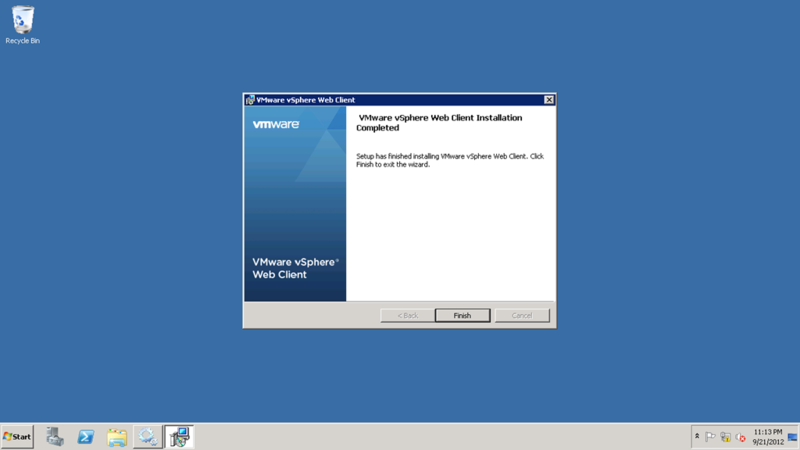 In this post, I will be writing up the installation procedure of vSphere web client. 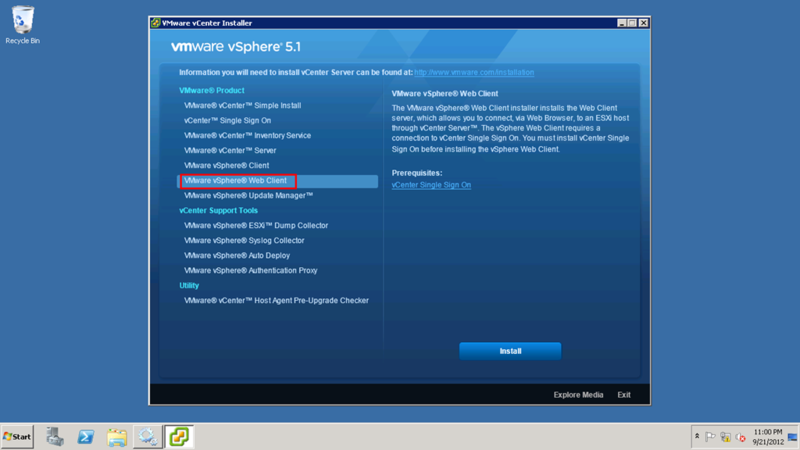 Select vSphere web client from menu and begin the installation. 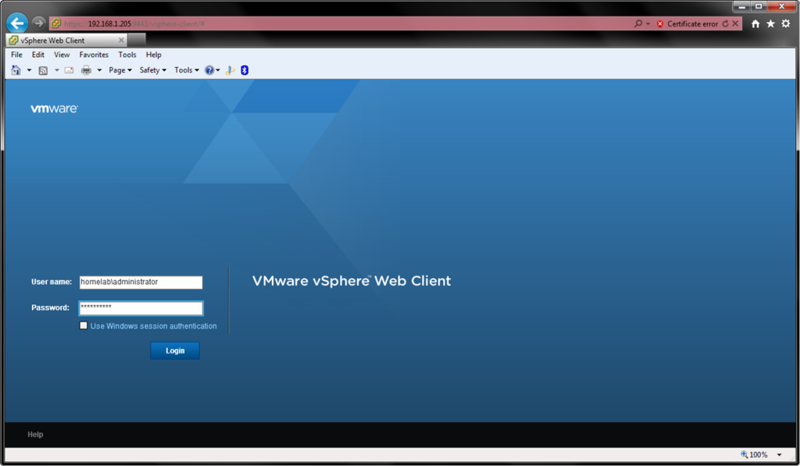 Check the vSphere Web Client service has been started. My next article will be on Installing the second node of Single Sign On service. Today, I am going to attempt installation of vCenter 5.1.
vCenter 5.1 requires vmware Single Sign On and vmware Inventory service, so we will start with Single Sign On service. 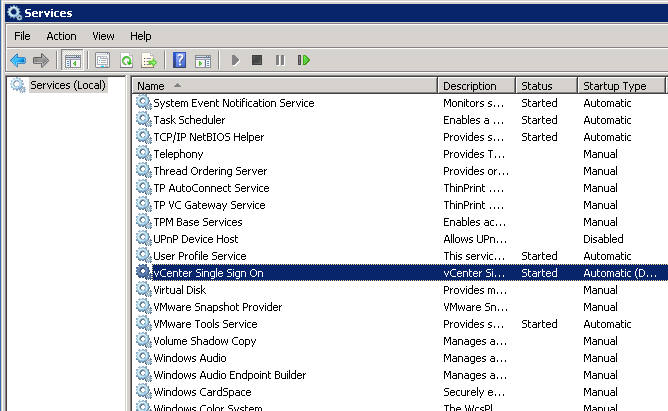 The order is SSO (Single Sign On), Inventory, and last vCenter. 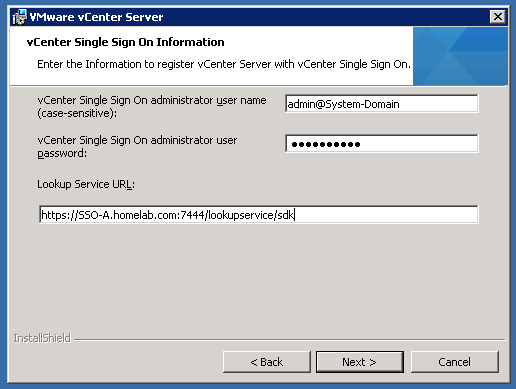 All 3 services can be installed on a single server but, I will attempt to install SSO on a separate server whereas Inventory and vCenter on another server. I will be installing Inventory and vCenter on same server. 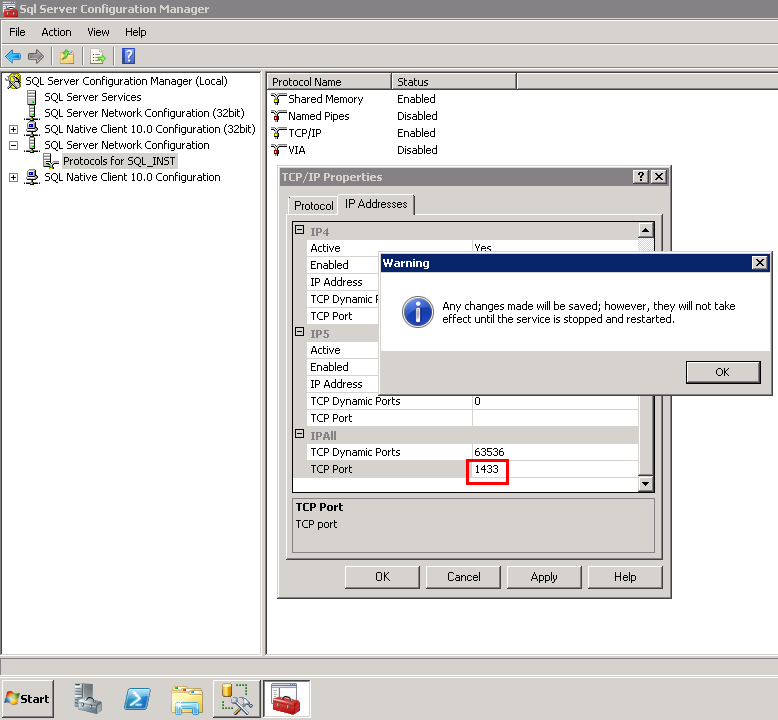 For SSO and vCenter there is a requirement of a SQL server, in this test lab I will be using a separate SQL 2008 R2 server. 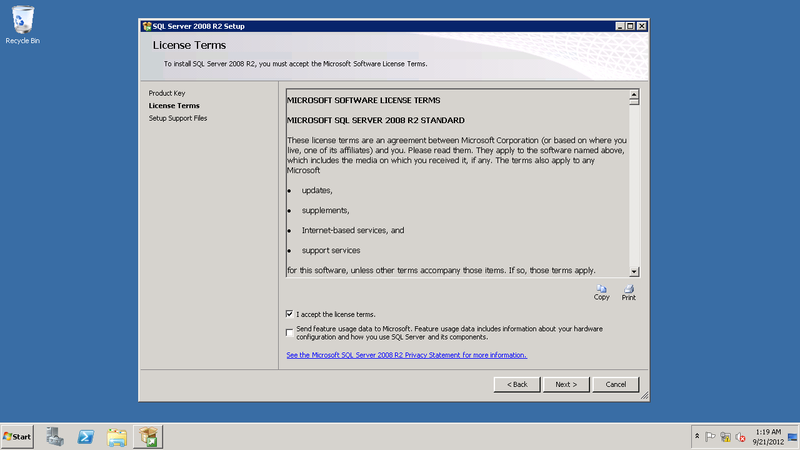 So lets begin with installation of SQL 2008 R2 server. 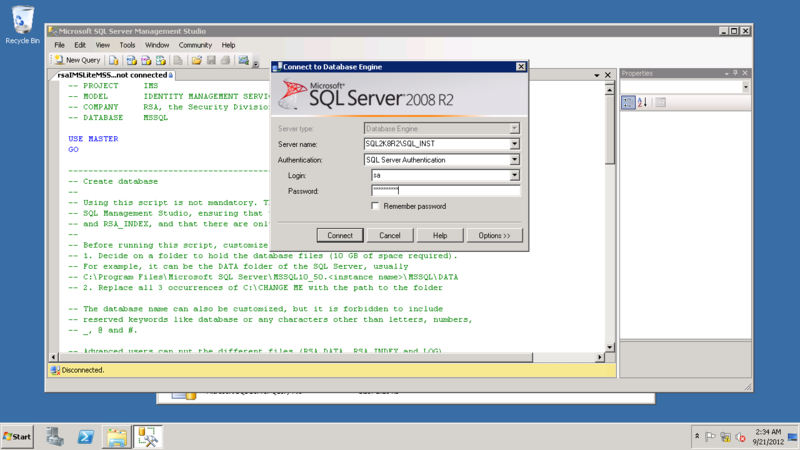 Start the setup of SQL server. 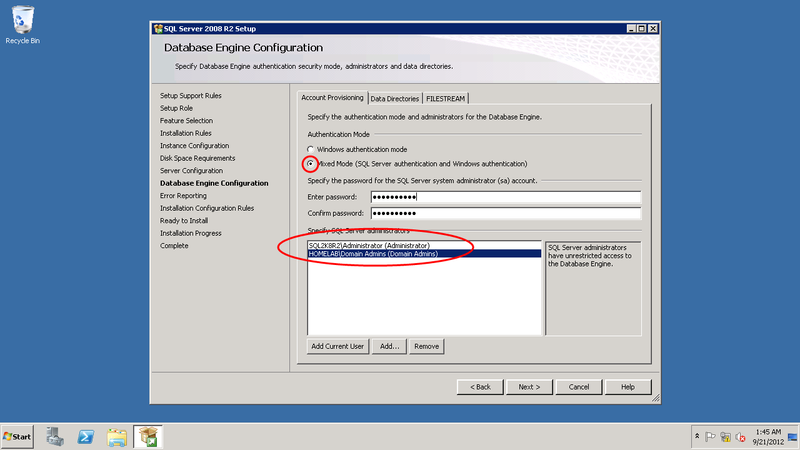 I have set the Account for Agent and Database Engine as “System” may be this is not the best practice, but for sake of ease and lab. 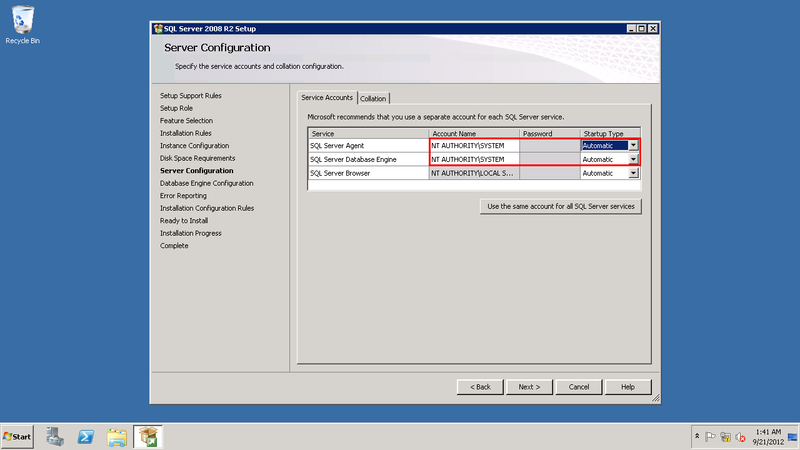 Also, the Server Agent service startup type is set to “Automatic”, later at time of installing Inventory service it has to be set to Auto, so I did it before hand. Make sure to select “Mixed Mode” for Authentication type. 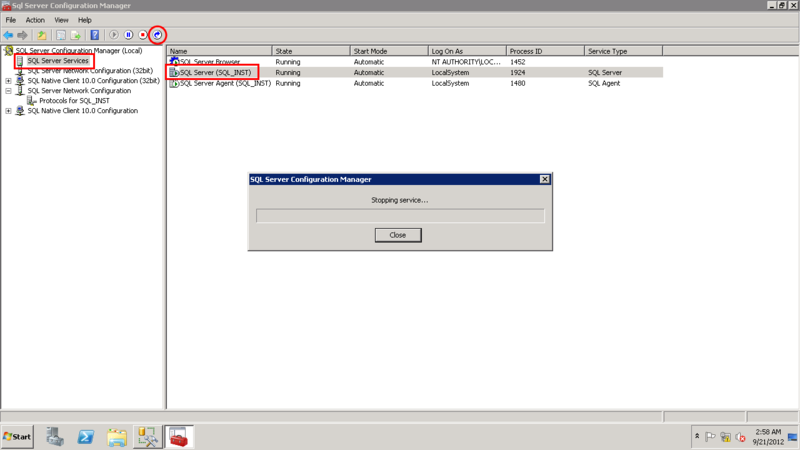 I have also added local system “administrator” and “Domain Admin” group of AD as SQL administrators. Installation of SQL has started. 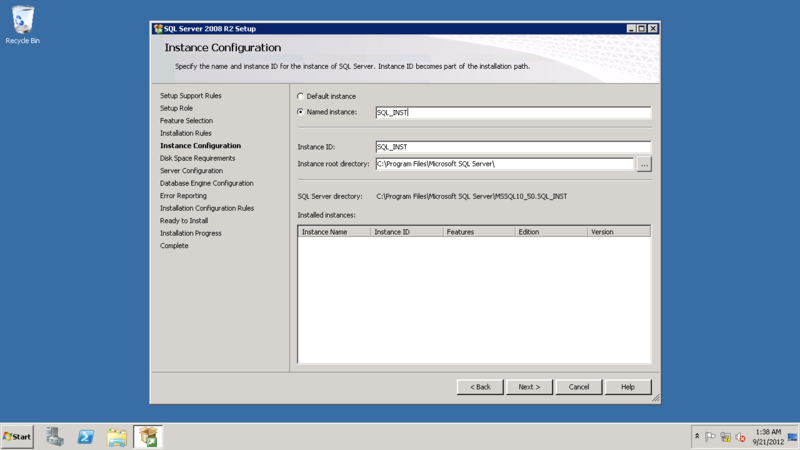 Once the installation of SQL server is complete we will go ahead for installation of SSO on a dedicated server. 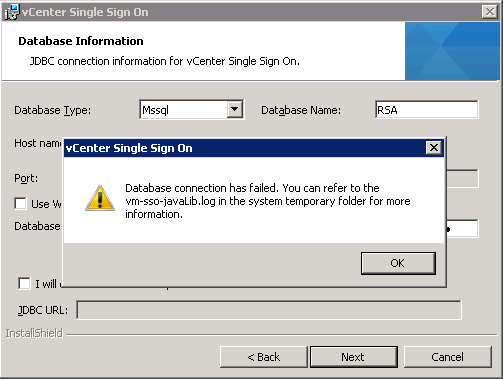 Note: If the Single Sign On server or the VM hosting the server fails, administrators cannot access vCenter, but ESXi hosts continue to function normally. That’s the reason I have planned to test SSO in a cluster. 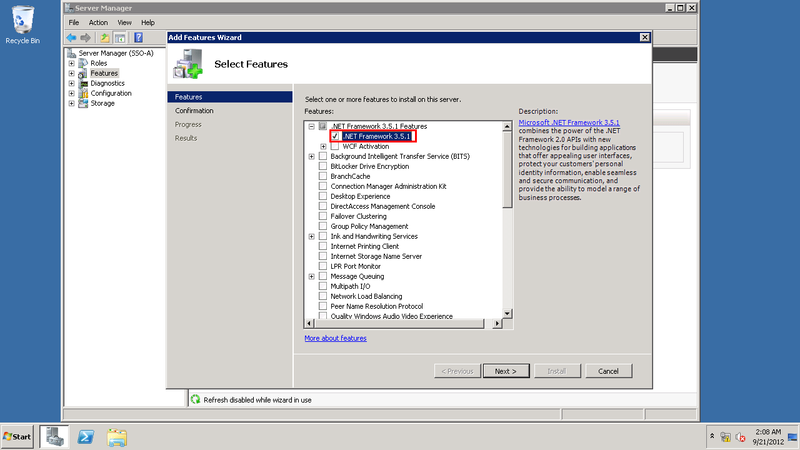 very 1st we will start by enabling the .Net framework feature through server manager MMC. 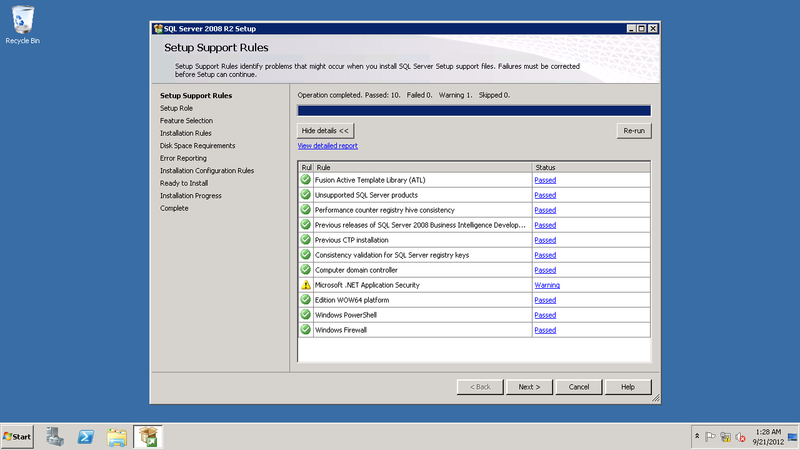 The 1st option will suit our needs for High Availability. Installation wizard create a default SSO administrator user account i.e., admin@System-Admin. 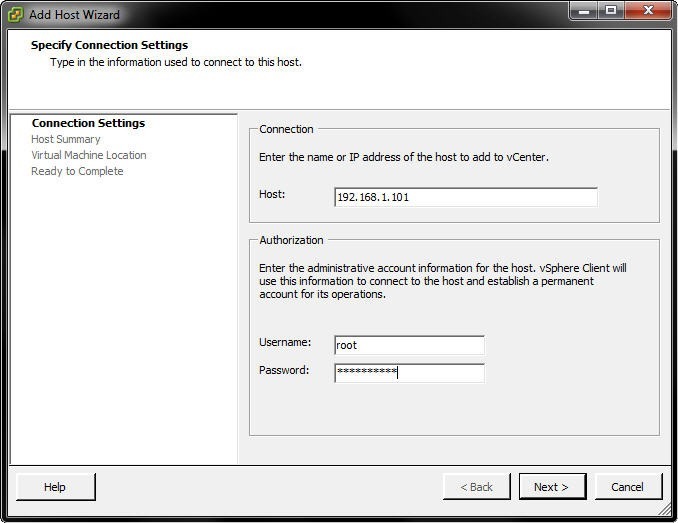 This username and password (you specify here) will be used for administration of SSO via vSphere web client. You can create users as required later using this account. So make sure you remember the password. This requirement can be changed through SSO control panel (vSphere web client). 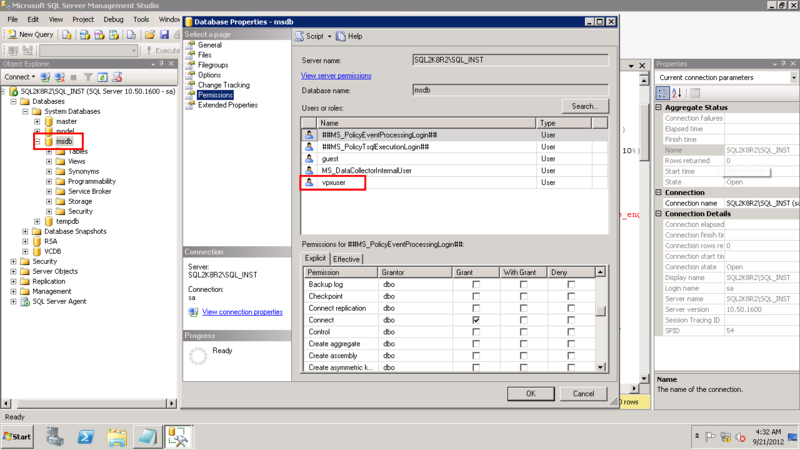 Read this carefully, before we go ahead we need to run a script located in the installation media at \Single Sign On\DBScripts\SSOServer\schema\mssql. 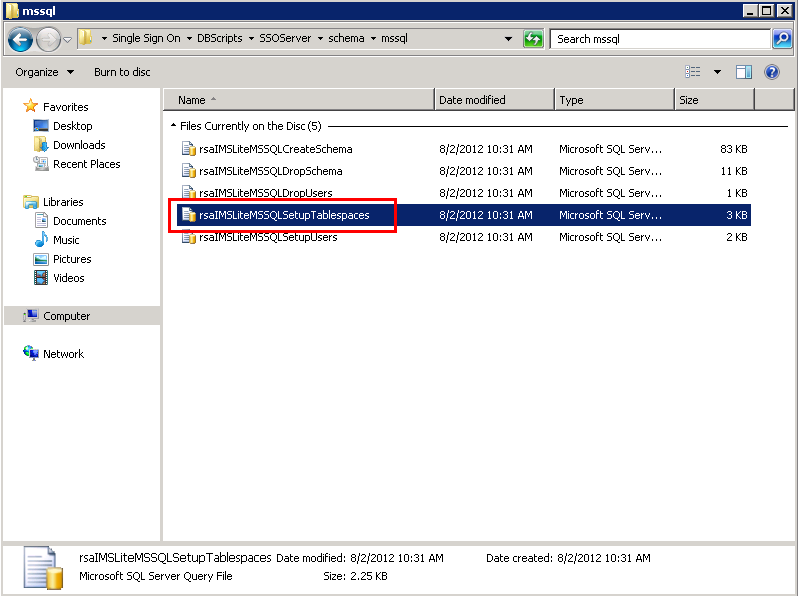 This script has to be executed on SQL server. 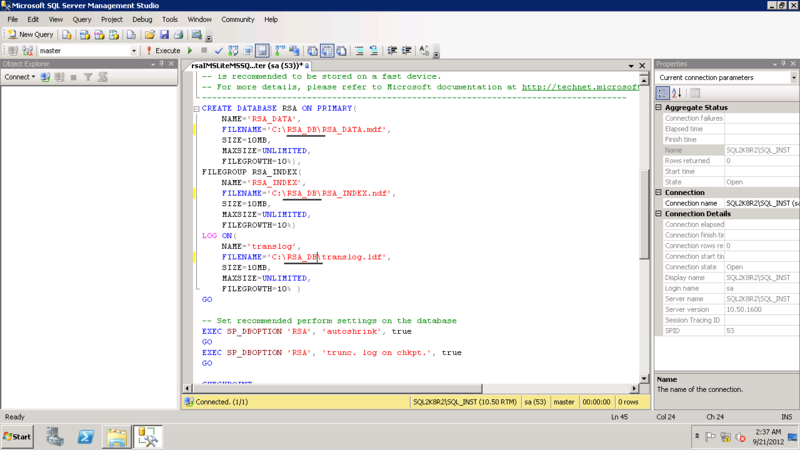 We are on SQL Server,. Selected is the script that we need. double click on it, which will launch the management studio. Before we execute the script, we need to make some modifiaction. 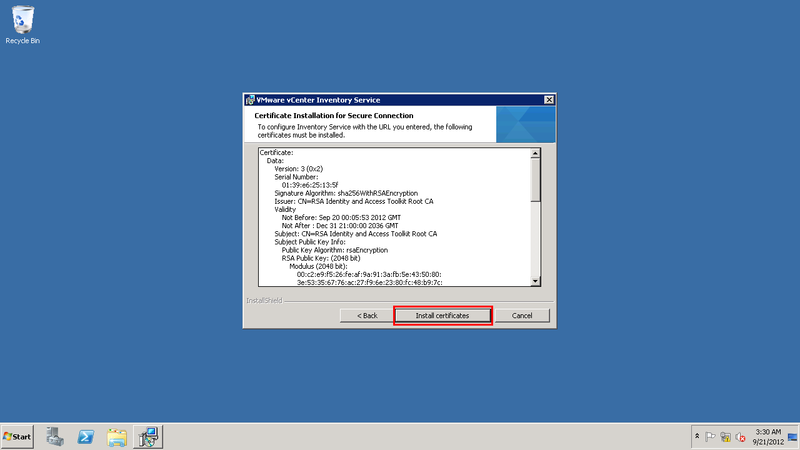 2. modify the path at 3 location, see the screenshot below, marked with black line. Select “Execute” option from toolbar and you should get a success message. 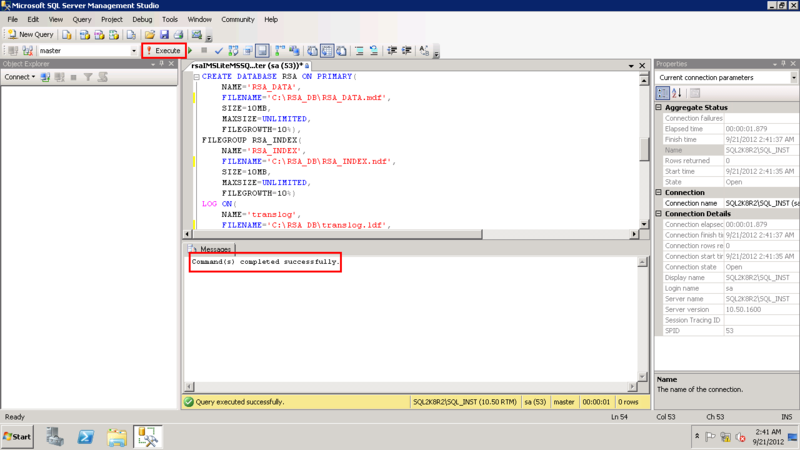 You can see the database “RSA” is created. Lets go back to SSO server and move ahead with installation. 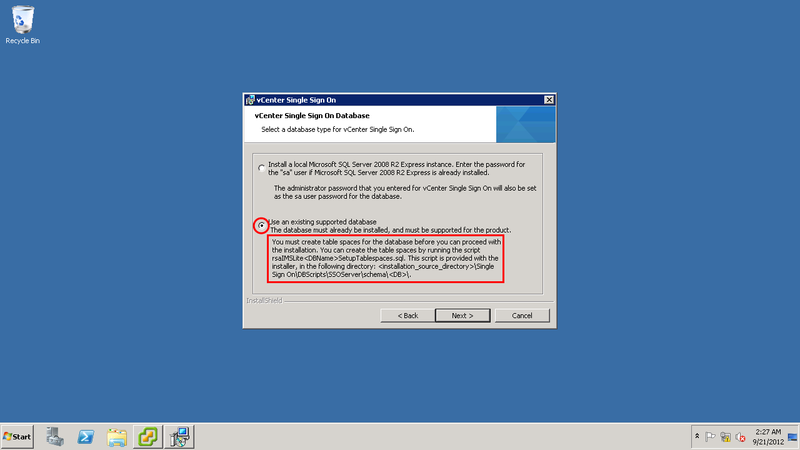 Now, we need to fill in the appropriate details so that the installer can communicate with SQL server. I am using the sa account here. 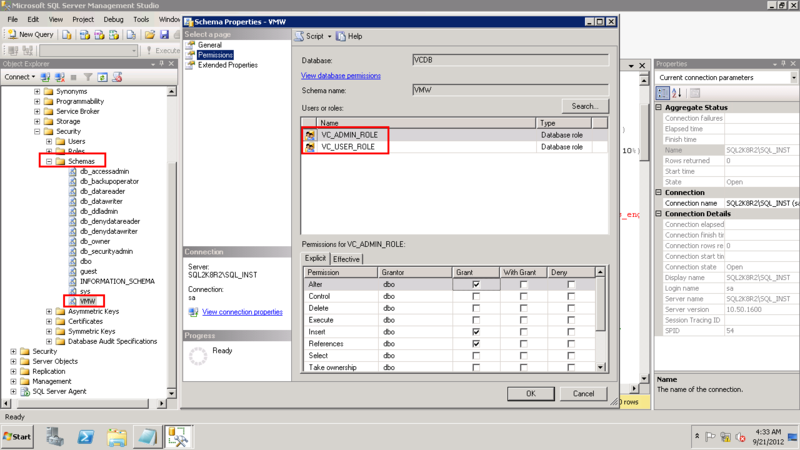 JDBC URL will be populated automatically once the connection is successful. 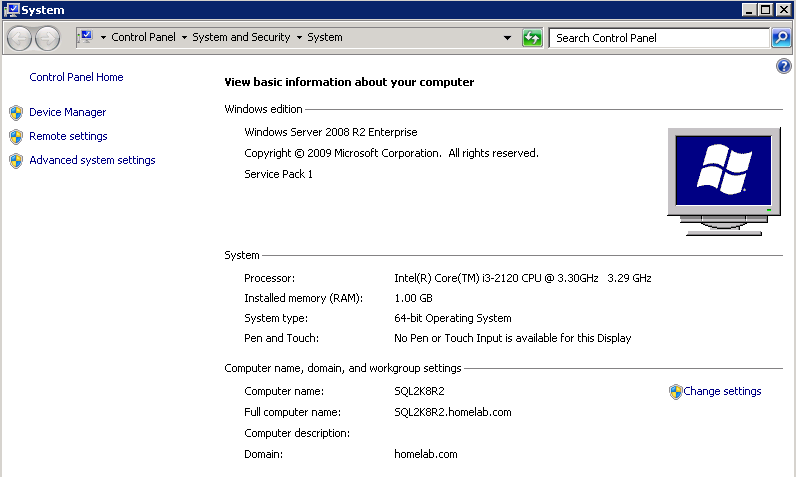 “The TCP/IP connection to the host SQL2K8R2.homelab.com, port 1433 has failed. Error: “connect timed out. 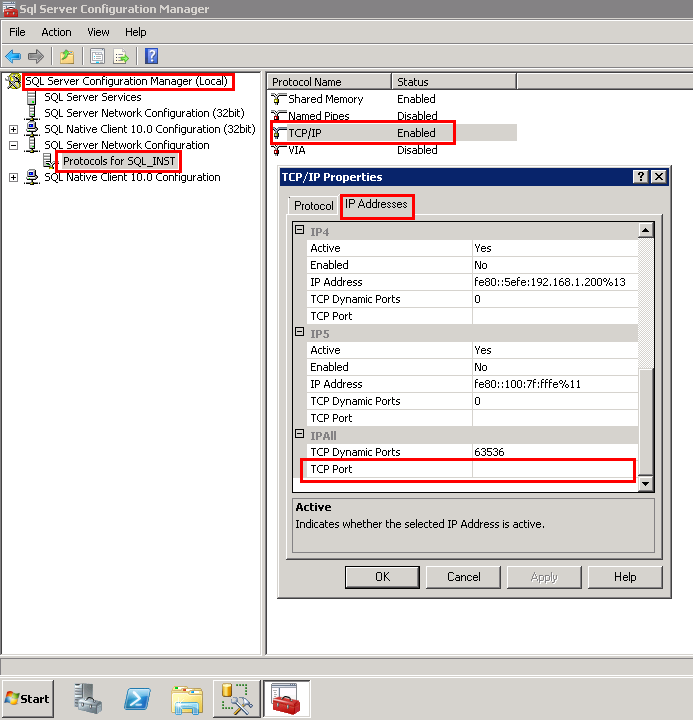 Verify the connection properties, check that an instance of SQL Server is running on the host and accepting TCP/IP connections at the port, and that no firewall is blocking TCP connections to the port.”. 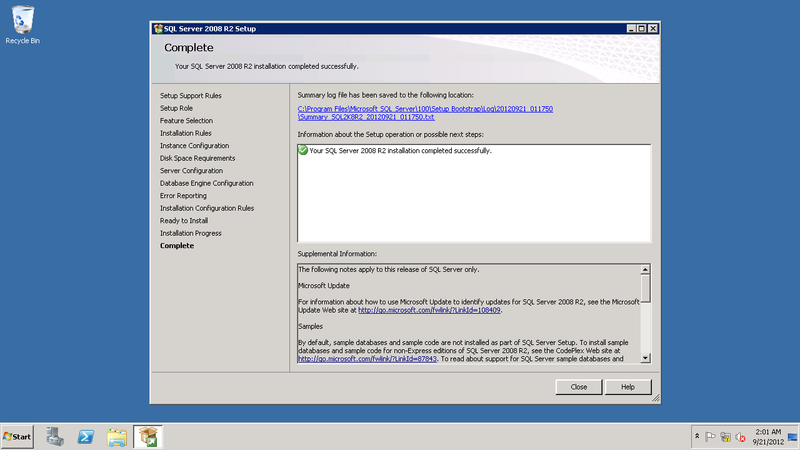 Restart the SQL server service and back to SSO installation, try moving ahead. 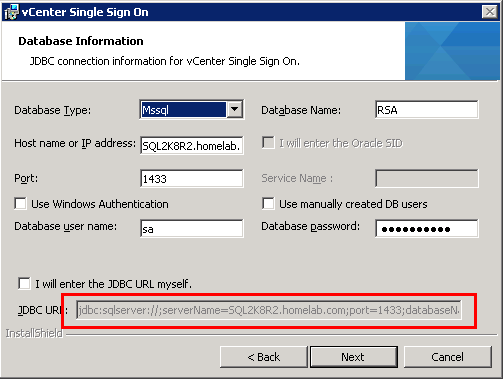 the connection will be successful, if you click back you will see JDBC URL is populated. Leave the port number to default. 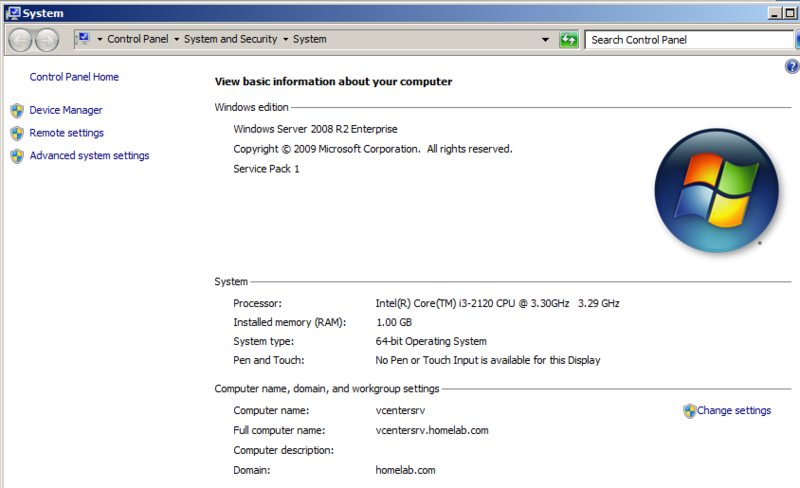 This completes the installation of SSO on a dedicated server. Check the service from services MMC. Lets begin installation of Inventory service on a new server, this server will also host the vCenter server. Start the Setup for Inventory Service. Here, enter the URL for Lookup service, which is part of SSO. I hope you remember the password for SSO admin account. This was a very straight forward Installation. 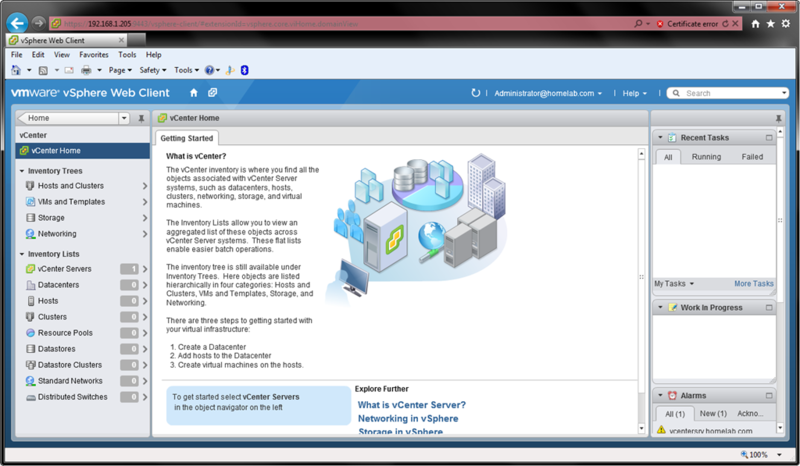 For vCenter, we will start by preparing the database. we will be using the same SQL server for vCenter database. Use the script below to create the database for vCenter Server. 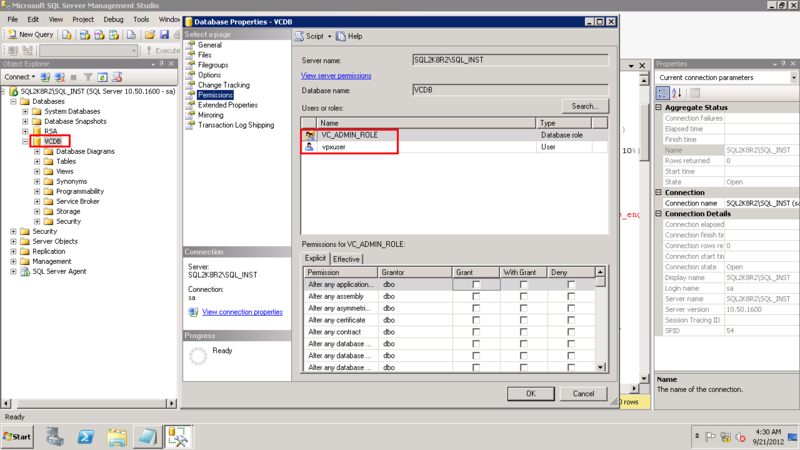 On the SQL Server, open Management studio, create a new Query and paste the script. You will see the database is create and appropriate users are given permissions on database. Lets create the x64 SYSTEM DSN ODBC connection for database. 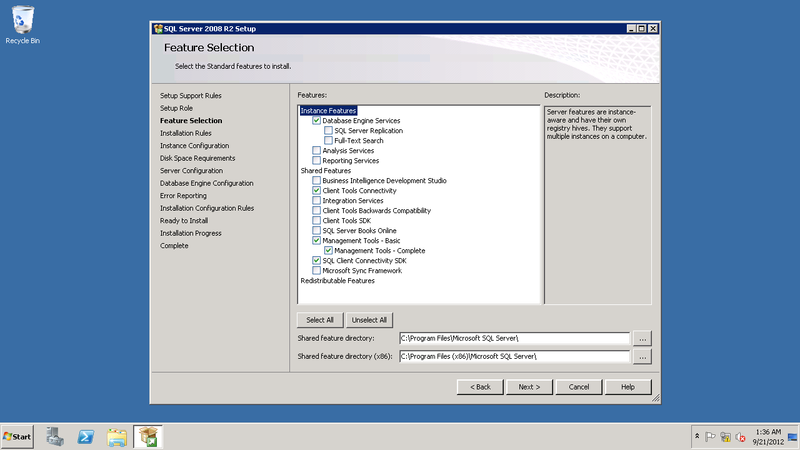 We need to create a “SQL Server Native Client” type of data source, You will find that there is no entry for it. 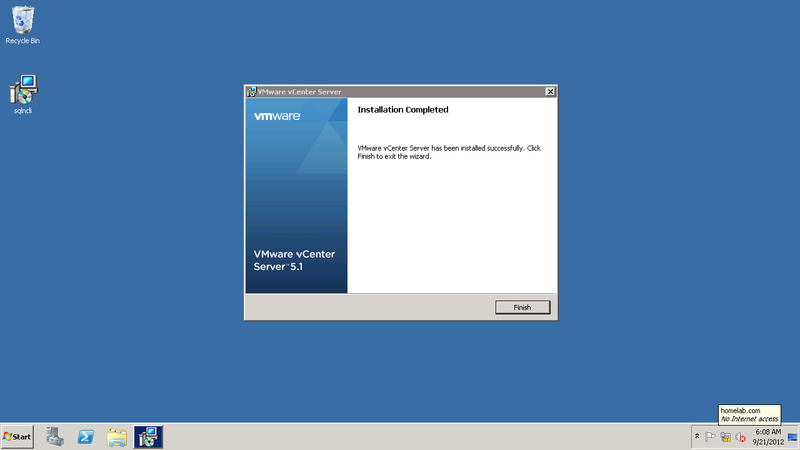 Installation of vCenter Server is complete. I will continue the post in next part, where we will cover installation of vSphere Web Client. 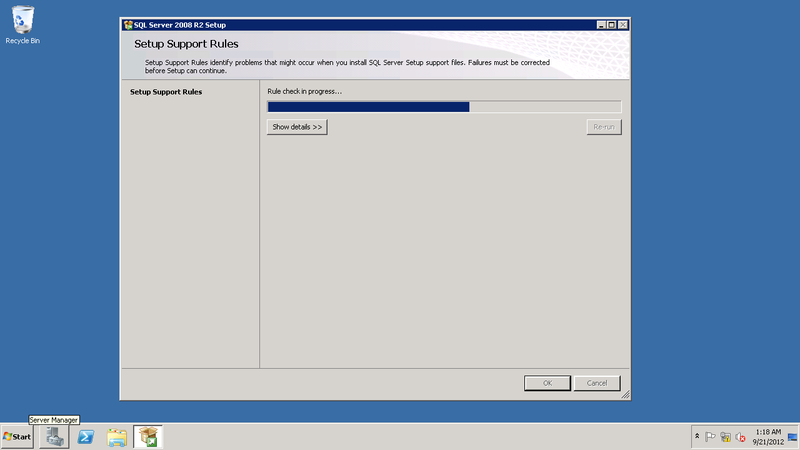 Here we will see how to upgrade ESXi host from 4.0.0 U1 to 4.1.0 using ESXi tech support mode. we will need the update bundle which is a zip file. Also you will have to enable SSH so that you can upload the .zip bundle to ESXi host. 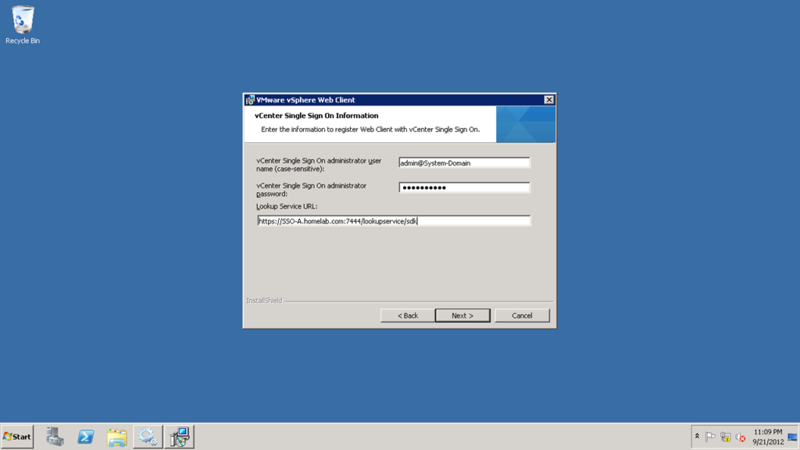 We will use WinSCP and Putty as our tools to connect to ESXi host. As you can see below I have the bundle zip file. 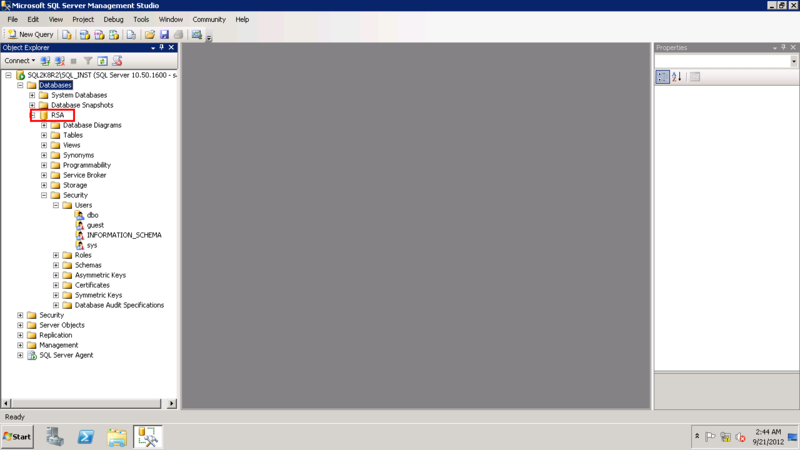 Lets upload the file to ESXi using winSCP utility. 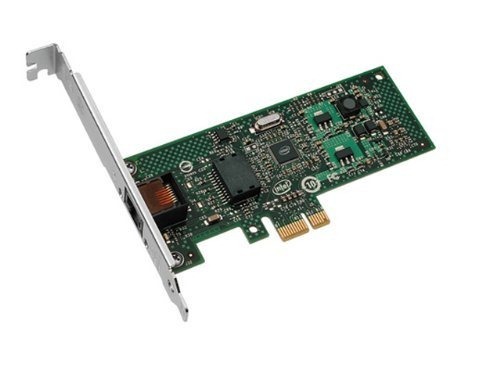 Open Putty, connect to ESXi host. 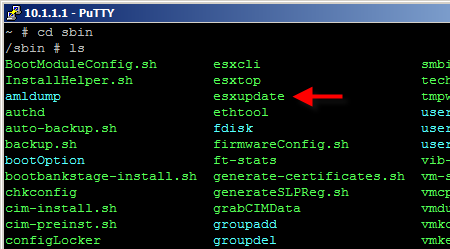 esxupdate is found in /sbin directory. 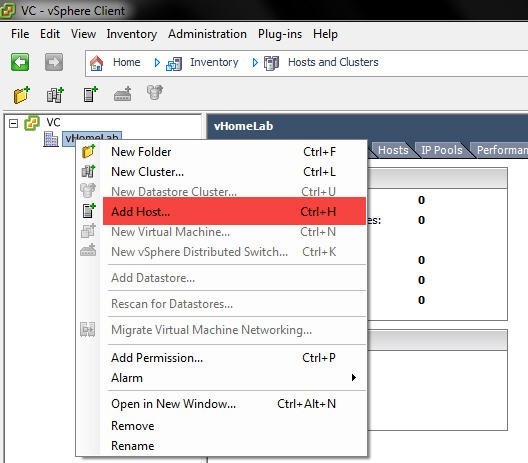 We will need the location of file, so we will highlight the location i.e., /vmfs/volumes/4e4….d42 and right click, which will copy the location to clipboard. 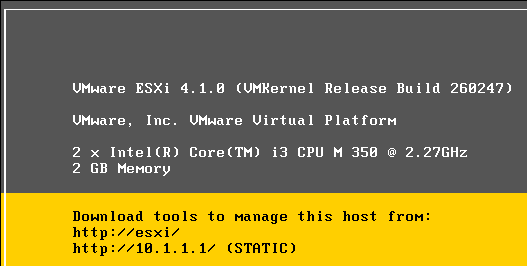 The ESXi host should be in maintenance mode for update to run successfully, and I forgot to put it which gave me the error as shown below. You will also notice that I have used the “datastore1” in the URL, which also works as it’s the shortcut to the numerical folder that we saw before. 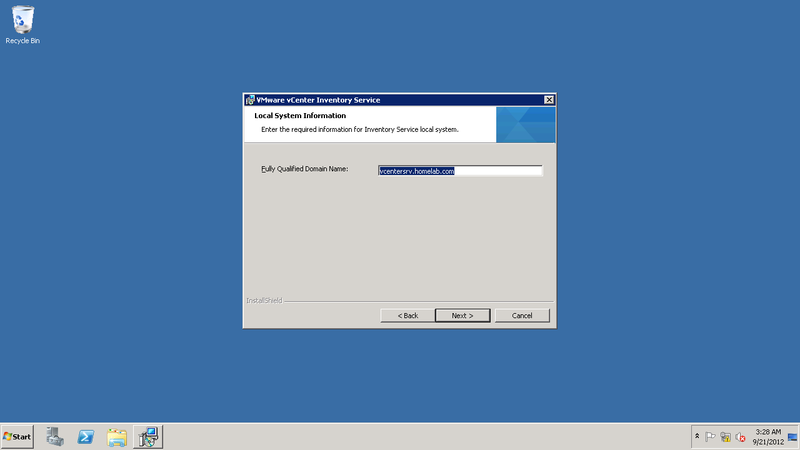 Let us run the esxupdate cmd again. and you can see the update has started. 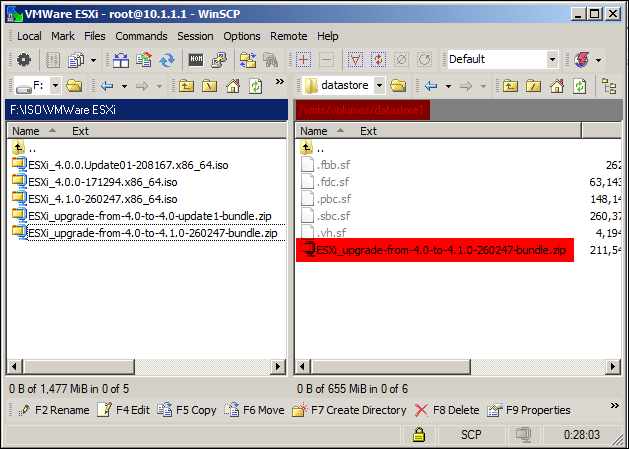 The update is completed, as the message says we will reboot the host using “reboot” cmd.